I hope this finds everyone doing well. We have been having some rain. And too, I have found a new way to waste my time. I have been watching too many tornado videos online. Have you seen the one of the guy on the interstate that is like right there at a tornado? I mean he could have probably reached out & touched the thing?? It was the one in Rochelle, IL last week. TOO MUCH for me. I am confident when I say, if my Mama Boyce were here today, in the times of youtube tornado videos, well, let’s just say she probably would not let me watch them. She was terrified of tornadoes. She & my family were in a tornado one time & to say they lost everything is an understatement. We stayed with my grandparents, during the day while Mama & Daddy were at work. Also, we were there after we got off the school bus. And every moment in between, if we wished. We lived right beside them. Since that awful event, every time it thundered, we were at the storm house. Peanut butter & crackers & a water jar in hand, we would make the walk to the edge of the yard to the storm house. My Papa Clyde would go in ahead of us & scare out any mice, rats, snakes, lizards, or whatever had set up shop since our last visit. Spiders & cobwebs were expected. However, since we were not a bunch of barbarians, my Papa Clyde would run out all of the before mentioned like it was his job. If for some reason we were not at their house, she was on the phone calling. Wanting to know when we were going to be at the storm house. This was a serious deal with her & everybody had just better go along with it. She was a worrier. She loved all of us & worried we would not make it to safety in time. However, we don’t have to live in a land of fear & what if’s. Give them to the Lord. Straight out of the shoot, let the Lord handle everything. I Peter 5:7 casting all your care upon Him, for He cares for you. Forget about it. Time thinking about the negative, robs us of time to enjoy the good things in life. I can’t help but sing the Frozen song in my head when I think of this one. Just “Let It Go”. Philippians 3:13-14 Brethren, I do not count myself to have apprehended; but one thing I do, forgetting those things which are behind and reaching forward to those things which are ahead, I press toward the goal for the prize of the upward call of God in Christ Jesus. 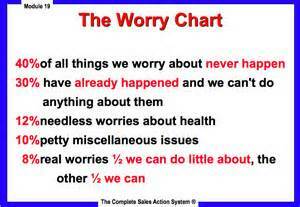 Remember we cannot control all situations. The devil is on his game looking for whoever he can to cause trouble with. Don’t play the blame game & think you could have done something differently to deter a situation. Sometimes you just can’t. I Peter 5:8 Be sober, be vigilant; because your adversary the devil walks about like a roaring lion, seeking whom he may devour. Be thankful. Who has time to worry if you are using that time wisely? We should be thanking the Lord for the good things in our lives, on a regular basis. There is ALWAYS, ALWAYS, ALWAYS something to be thankful for.Psalms 100:4 Enter into His gates with thanksgiving, And into His courts with praise. Be thankful to Him, and bless His name. Trust the Lord. Proverbs 3: 5-6 Trust in the Lord with all your heart, And lean not on your own understanding; In all your ways acknowledge Him,And He shall direct[a] your paths. “It’s ok Pap. I know what I’m doing.” Well, he is 3 years old you know. I would not trade these days for nothing. But for now I have to be going because I should be washing clothes. 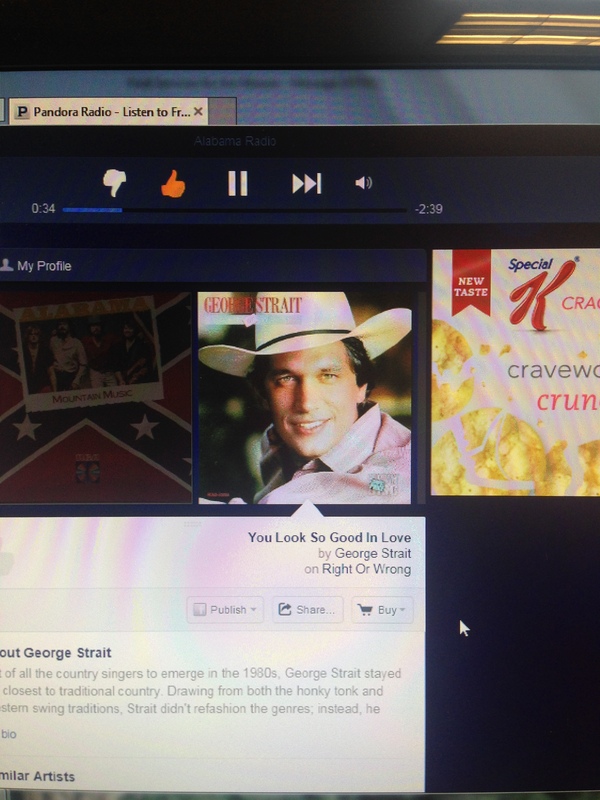 George Strait on my Pandora. It’s the little things.